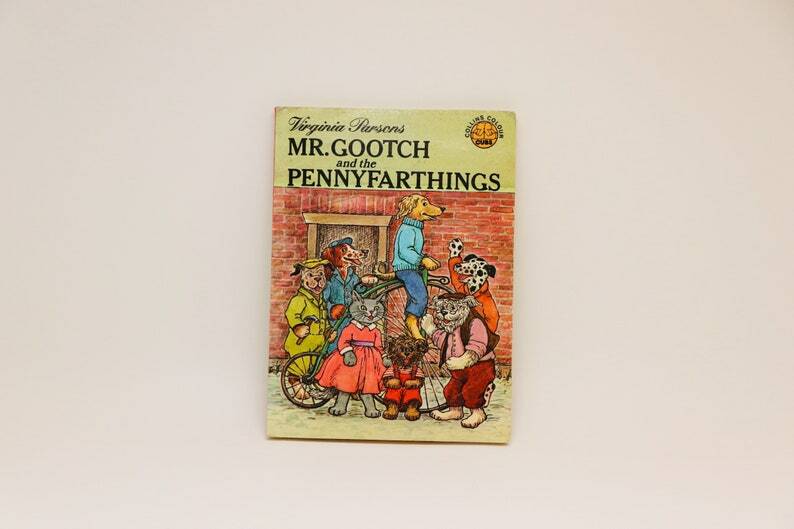 Here is a hard to find edition of Mr. Gootch and the Pennyfarthings by Virginia Parsons, a Collins Colour Cubs book. Copyright 1977, printed in Great Britain. A childrens illustrated storybook. This book is in good vintage condition with only slight ware on the cover, there is a bit of discolouration on the first page, no writing or marks inside the book, the pages are clean and the binding is tight.